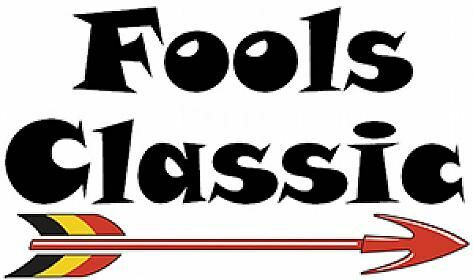 The Fools Classic is Kermesse Sport’s original Mixed Surface Ride, and is one of the oldest spring classic themed rides in the US. Despite being founded long prior to the Revolutionary War, Bucks County doesn’t have much in terms of cobblestone roads, but due to its rural nature, there are many unpaved roads of dirt and gravel. Glaciers carved out what is now the Delaware River, yielding some steep hills leading out of the river valley. These conditions combined with the unpaved roads, lends perfectly to a tribute to the Ronde Van Vlaanderen (Tour of Flanders). While the route varies year-to-year, the concept is constant; ride a circuit of roads less traveled past picturesque farms, pre-revolutionary stone houses, and take in as many of the local unsealed roads as practical. The course is always very challenging and has quite a few technical sections. All of the roads are public roads. There are 27 sections of unpaved roads (dirt, gravel, and hardscrabble), which comprise approximately 25% of the course. Everything is suitable for road bikes, but we highly suggest tires wider than 23 mm to increase comfort, improve traction/handling, and to reduce the possibility of punctures. Total elevation gain (according to RideWithGPS) is ca 6000′. The course is very challenging and has quite a few technical sections, thus it is only suitable for experienced cyclists with a good level of fitness. While we have a mass start, everyone is welcome to ride at their own pace. This is a ride, and not a race, and the roads are open to normal vehicular traffic, so you are expected to obey all rules of the road.